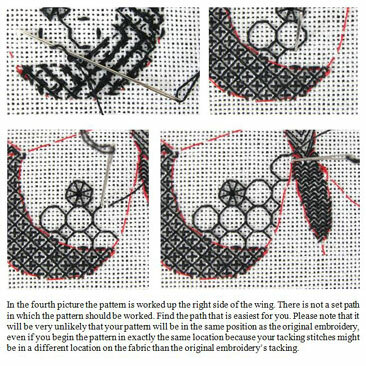 The design is worked from a hard copy instruction booklet which has 21 pages of step by step numbered charts and the option of getting the three PDF files with work-in-progress photos of the butterfly. 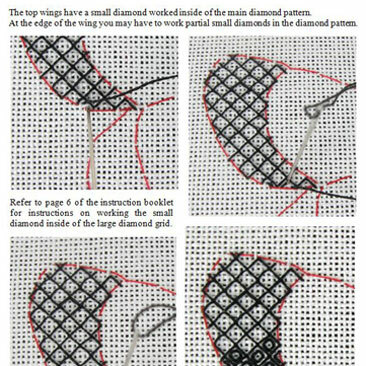 Each PDF file is at least 29 pages long with over 50 pictures and instructions in each PDF file. 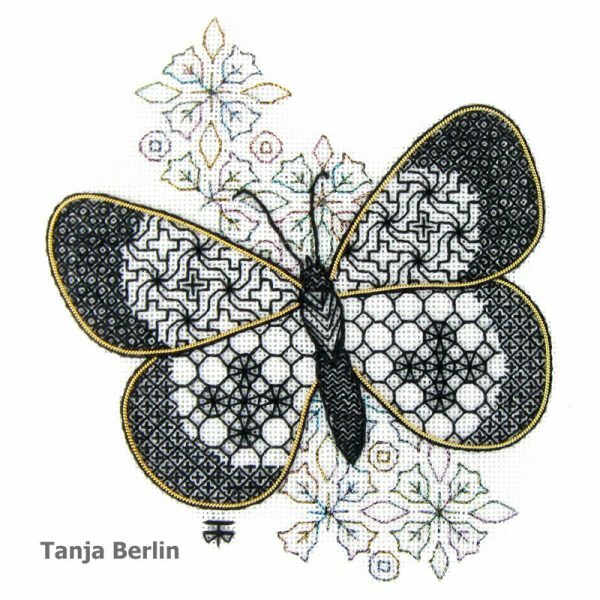 I provide a detailed instruction booklet in the kit with lots of step-by-step diagrams and instructions on how to work the tacking, each blackwork pattern and the outlines on the butterfly. 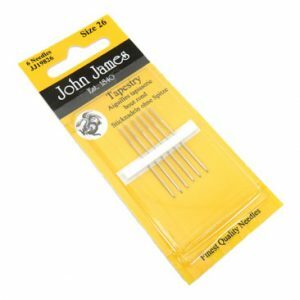 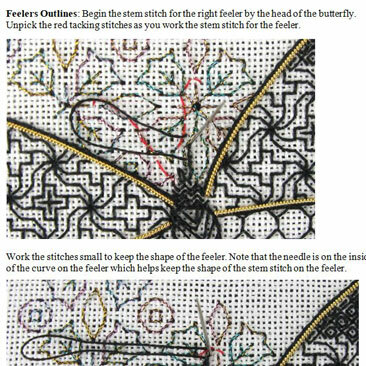 The PDF files combined with the instructions will give you a well rounded learning in the technique but the PDF files are not essential to work the butterfly. 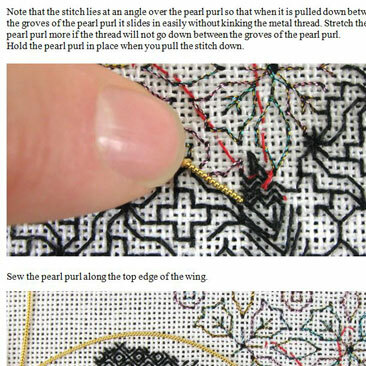 See the photo gallery pictures for some examples of sections of the PDF files. 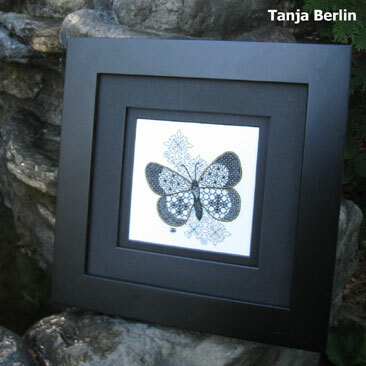 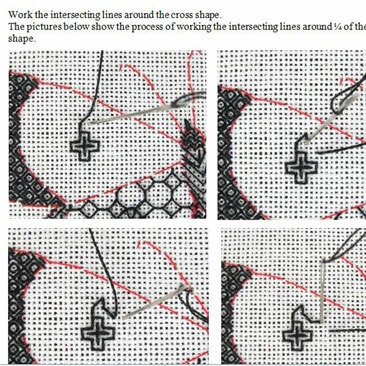 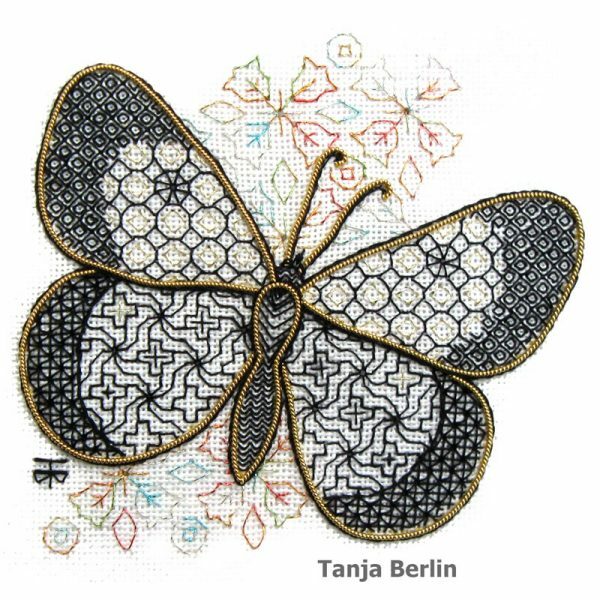 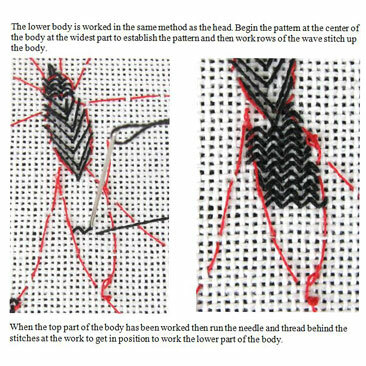 The small blackwork butterfly can be worked on 14 or 16 or 28 count or 32 count fabric. 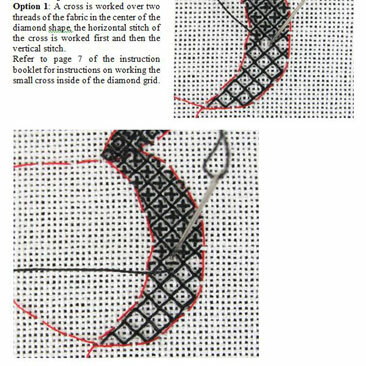 I recommend working the design on 28 count or 32 count if you plan to work some of my other designs. 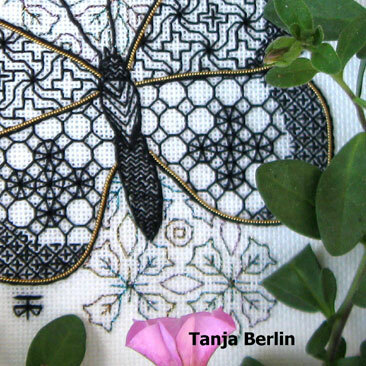 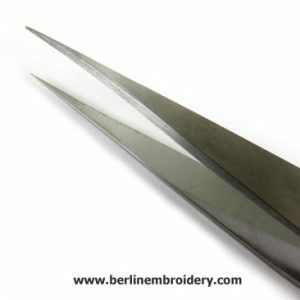 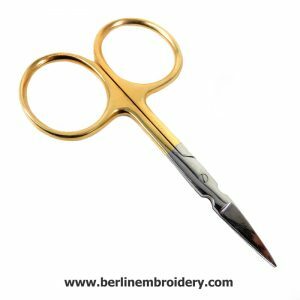 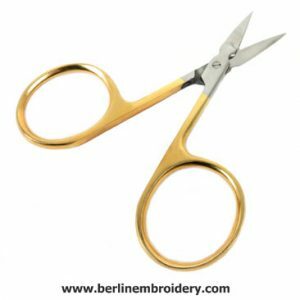 A stitching light and magnification are an asset to work the embroidery.